Running a business is not an easy task. It takes a lot of hard work and effort. Even the smallest mistake can cost of hours, even months of hard work and even money. You have to be highly vigilant and keep an eye on each and every factor concerning the business. The rise and easy access to the internet has increased the need of the online marketing. To reach a wider audience and advertise the business to a large extent you have to make sure you have a good and impressive internet presence. Online marketing is good and essential for the business, but it can also present a lot of challenges. If you want to succeed then you have to overcome the challenges. Different types of businesses face different challenges. You have to make sure that you find suitable solutions for the type of business to ensure that the marketing is effective and beneficial. Here are some of the challenges faced by different type of businesses. If you want to advertise your services online, then you have to understand all the essential factors involved in it. 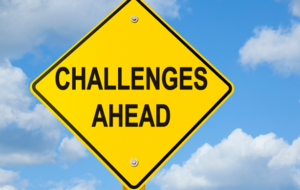 Here are some of the challenges service providers can face while online marketing. This is a challenge which is mostly faced by small businesses. They often find it highly difficult to establish a unique and distinguished position in the digital space. There are some businesses such as accounting, which can be difficult to advertise on social media as compared to a retail food or shop fitting services. If you are unable to establish a good position, then you are going to lose a lot potential clients as they are just going to services with better positioning. If you want to overcome this challenge then you need to create strategy which will include unique propositions which can guide all of your marketing efforts. Referrals are extremely important for the services industry. If you are offering different shop fitting services such as shop shelving, roofing, merchandising etc. then you have to make sure that you have good references. The new clients will look at the referrals before entrusting you with the task of renovating your place. You can overcome the challenge by making sure that you always ask for referrals from the existing clients. When it comes to the service providing industry, the marketing is not done even if you have signed a contract. If the clients are not satisfied with the services, then they may decide to go with another service provider. It can be challenging to make sure that such a thing does not happen. You can use several methods of online marketing to overcome the challenge. You can use social platforms such as LinkedIn groups, webinars etc. If the website of your business lacks transparency, then you can lose your present and potential clients. Make sure your website is transparent and it allows clients to contact you easily. Content is highly important and essential part of online marketing. Content is important for retail business as well as service providers. Producing high quality content is not easy and it takes time. The majority of the small businesses do their content marketing. The competition to gain the attention of consumers is increasing. It is becoming more and more difficult to produce unique and distinguished content so that you can gain the attention of potential consumers. There is always pressure to produce the best content. If you are selling party shoes, refrigerators or any other type of products then it is important that you produce content which is able to attract potential customers. Make sure that the content is up to date, and is of good quality. You have to fulfill several requirements to make sure it is up to the SEO standard and ranks higher. It allows more people to reach the content. There are several platforms which allow you to advertise your content without any cost but with increasing competition just sharing content are not enough. Popular platforms such as Twitter, LinkedIn and Facebook are coming up with better and effective ways to reach the potential consumers. If you grow your clientele, then you have to go for the paid promotion. You have to invest if you wish to reach more people. These are some of the challenges different types of businesses can face while online marketing. You cannot ignore the importance of online marketing so make sure that you overcome these challenges and take full advantage of it. I am Rubby William and I am a passionate entrepreneur. I have successfully completed multiple business ventures so far. I have been studying internet marketing and tech startups for years and I love to read and write about technology, blogging, gadgets, tip & tricks and gaming to share my knowledge and expertise. I have an excellent learning attitude which had made me over-passionate about learning and has shaped me as a perfect writer. The main purpose of my writing is to share curative, transformative, informative and humorous information with the readers that helps them in improving their lives. I use ingenious and out-of-the-box approach that has helped me in becoming a successful entrepreneur and of course a creative writer, too.